Resident Evil Revelations. 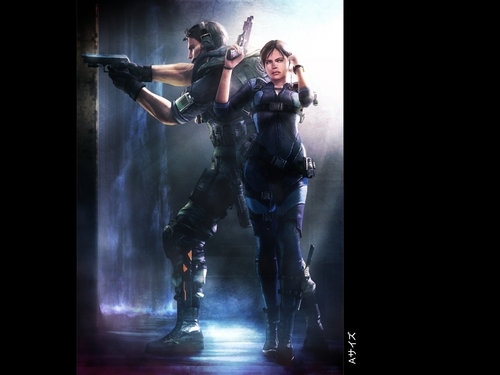 Chris Redfield and Jill Valentine. HD Wallpaper and background images in the 生化危机 club tagged: resident evil chris redfield jill valentine. This 生化危机 wallpaper contains 步枪兵, 步枪手, 海军印章, 印章, 海军海豹, 海豹, 海豹海豹, 绿色贝雷帽, 特种部队, 精英士兵, and 绿色贝雷帽特种部队. There might also be 战斗服, 彩弹枪, and 音乐会.